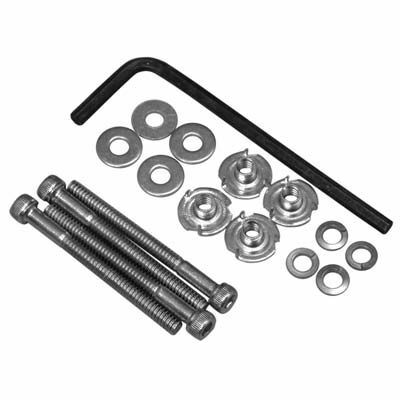 4-40x1¼" Blind Nut Bolt Set (4 Sets). Metal construction with zinc plating to prevent rust from oxidizing on parts. Blind nuts are the perfect mounting nut for hard to reach areas. Perfect for engine mounting, landing gear, cowls, hatches, etc. High round cap head screws with hexagon socket drive inserts. Plain black steel hex wrench.